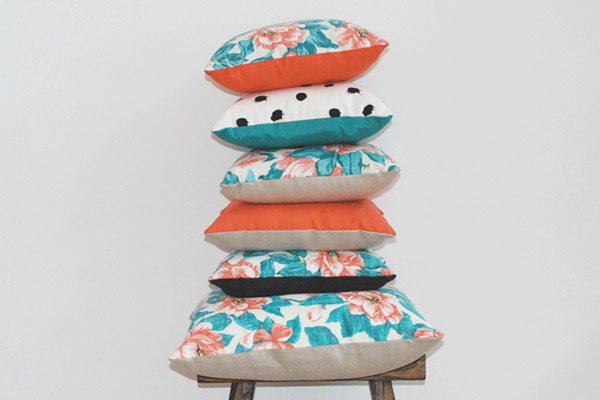 FK chats with Erin, the lovely lady behind Sydney based label Ernest Hope, debuting at the upcoming Melbourne Markets! Ernest Hope revives salvaged and vintage materials into fresh, bespoke wares. 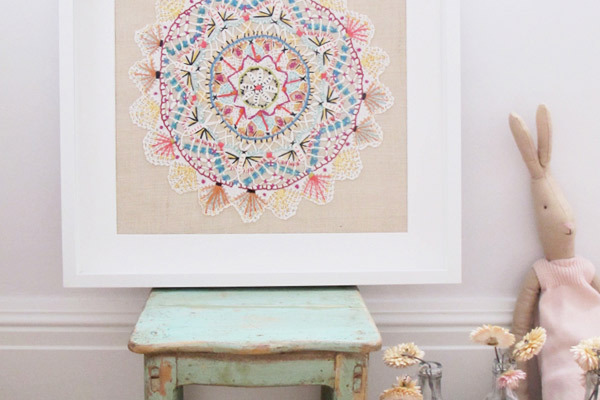 Handmade, soulful and story-full, Fresh Vintage and Modern Relics describe the range of cushions and framed hand embroidery. Individually handcrafted by me, each is unique or (very) limited edition. As for the name, my name is Erin and Ernest is a nickname that stuck. It proved a good starting point for describing my new venture: an earnest hope to recapture a little patch of salvation and creative passion, which – experience has taught me – is all too easy to lose hold of in the world of commercial textile design. 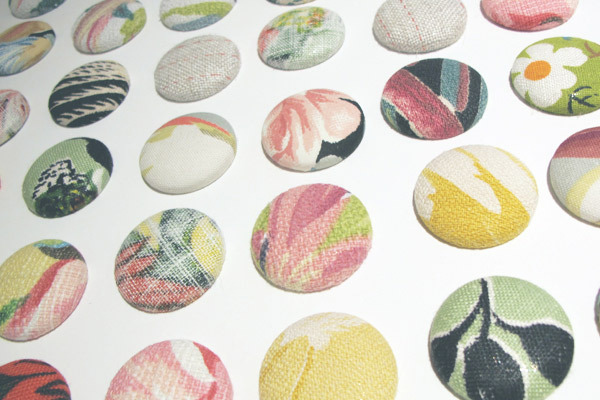 What is your background and how did you start working with textiles? Some of my earliest and fondest childhood memories are of weekends sitting next to my grandmother as she taught me how to draw, paint and sew. She was an incredible artist and teacher, her house overflowing with paints, brushes and fabric. I particularly remember sitting with her to paint an array of apparel with puff paint in the early 80s – a craze definitely best left to history! I have always been drawn to textiles and have studied, collected, designed, produced and sold textiles in a range of contexts. After graduating with a Bachelor of Design from the College of Fine Arts (UNSW), I have worked for 7 years as a commercial textile designer for the fashion and lifestyle industries in Australia, New Zealand and the United States. I’m also re-loving Turkish kilim weaving, with a few bright ideas for Ernest Hope’s next range of wares for Sydney Finders Keepers in June – Koskela’s Loom Rugs have always been a firm favourite. Shared with my husband, a writer, and Stevie, the cat, my workspace is the sunroom of our lovely deco flat in Sydney’s east. Perched on a hillside, my sewing table sits underneath a window looking out to sea. The view is intoxicating, both calming and inspiring. I lived in the inner city for years, and settling here has been so cathartic. I can’t imagine being so far from the ocean again – a quick dip does wonders for a creative rut! 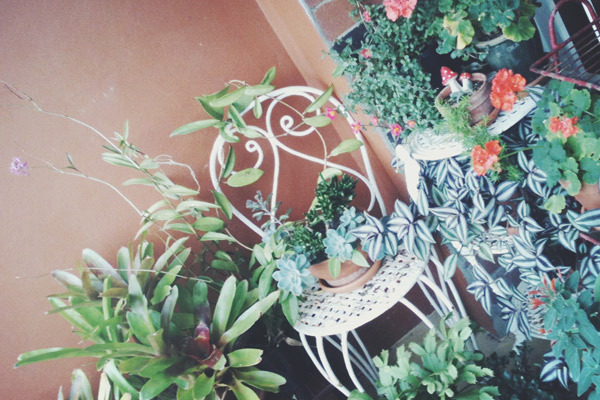 The space constantly evolves according to the most recent market, op-shop or curbside finds. We have a serious book collection/overflow throughout the apartment. 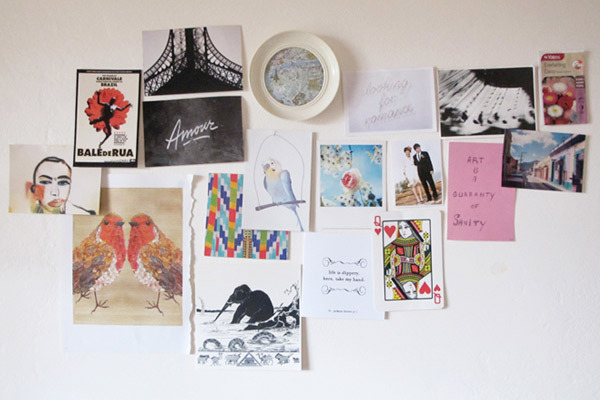 They make the space homely somehow and are a constant source of inspiration. Ours is the sort of home you can spend a lot of time in – fortunate, because we do! With lots of sky, noisy lorikeets and my ever-expanding balcony garden it’s perfect for afternoons lost in embroidery. Where do you source the materials for your range? and are there challenges in doing so? 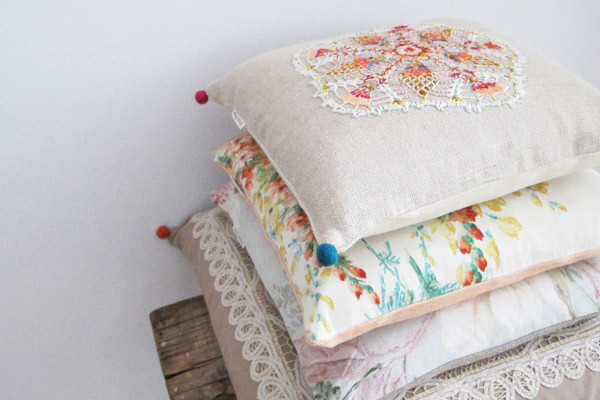 I‘ve collected vintage and antique textiles for nearly 20 years. Sourcing salvaged and vintage materials can be a case of happenstance. 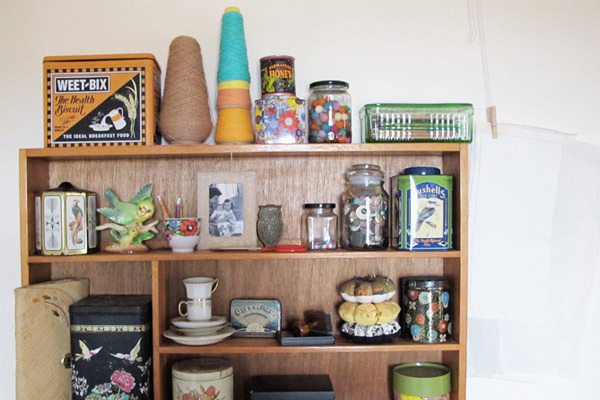 I spend many happy hours scouring markets and op shops, antique shows and estate sales, for that once treasured but now abandoned gem – the most incredible finds will turn up in the most unlikely places. 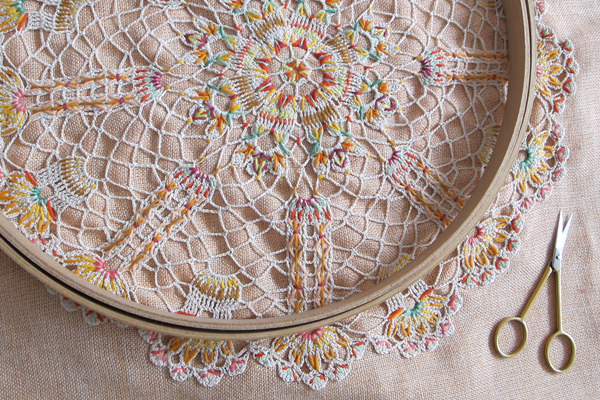 The modern relic collection of intricate needlework was actually born out of an antique doily addiction I developed in the lead up to our wedding – I needed to do something with them afterwards! It can definitely be challenging, but really it’s just a matter of keeping at it (it helps if you’re obsessed.) Sometimes I’ll keep a piece for years before making something with it – I still have remnants from an amazing dress discovered in the Newcastle op-shopping hey day of the mid 1990s! What can we expect to see from Ernest Hope at the upcoming Melbourne Finders Keepers? I am thrilled to launch Ernest Hope at Melbourne Finders Keepers. 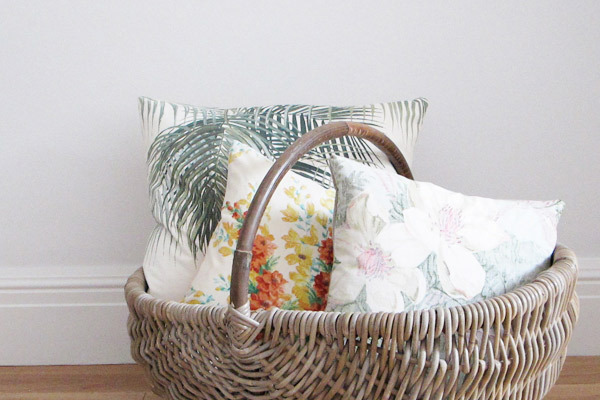 There will be an incredible selection of Fresh Vintage cushions (including lots of amazing, barkcloth prints from the 1930s – straight from Miami! ), Modern Relics hand embroidery (think vintage threads and antique linens) and – just for fun – some super pretty fabric covered fridge magnets. Also, everyone who signs up to our subscription list will go in the draw for a $150 giveaway to spend in the Ernest Hope etsy shop! Such a lovely interview! And her work is simply wonderful : ) i love all the details! How do I sign up to the subscription list?? I would love a chance to own some of the VERY lovely things pictured above! 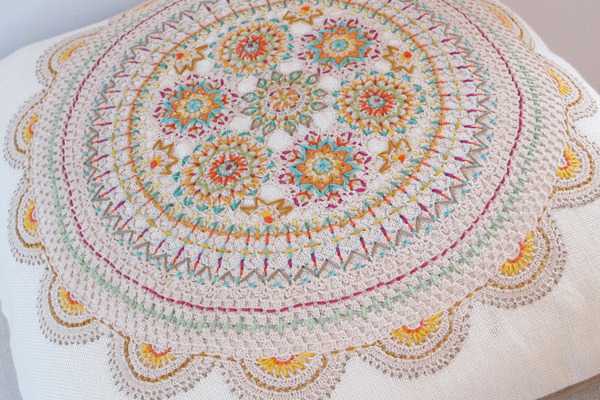 Especially the colorful, vintage doilies!! !